DVD Labeler is an integrated DVD scanning and image-capturing program. DVD Labeler automatically captures the first frame image out of each DVD chapter and creates scene indexing labels for your DVD movie. You will know the exact content of your DVD movie prior to inserting the disc into the DVD player. You can save DVD images as digital pictures for future editing and sharing. 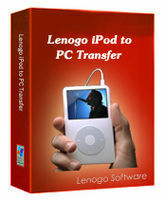 Features: Automatic DVD image capturing. The only thing you have to do is to insert your disc into DVD drive. DVD Labeler will scan it for you and automatically capture chapter or periodic Shots. Automatically displays DVD images on templates. DVD Labeler software includes templates for disc label and inserts. After capturing the DVD images, DVD Labeler automatically displays them on Disc Label, Jewel Case Insert and DVD Case Insert templates. Movie duration is displayed automatically. DVD Labeler software identifies movie duration and displays it on templates. Possibility to add a unique logo. Want to add your own logo? DVD Labeler provides this possibility and you can easily add a unique logo to your templates. DVD Labeler resizes your images automatically and makes them fit for all templates. Possibility to share captured movie images with friends and family members. DVD Labeler allows you to save captured images and templates. Just save them on your PC and share with your friends and family members. Great for Home Movies archive. Thanks to DVD Labeler you will find the desirable scene from numerous DVDs at a glance. Moreover, using disc indexes and titles you can easily categorize your movies.